It’s the age-old way of wishing someone, and it will never go out of style. And if it’s handmade, it becomes all the more special! Yes, we’re talking about greeting cards. 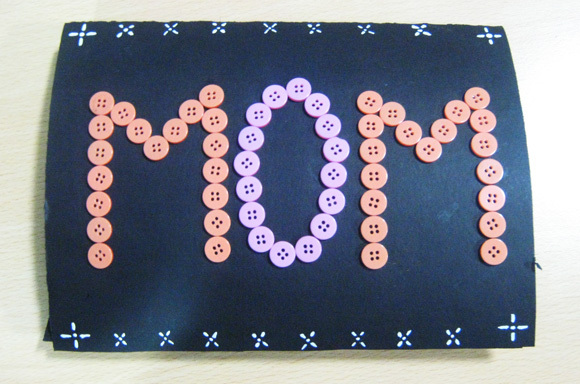 This Mother’s Day, show Mom how much you love her by making a special card for her. 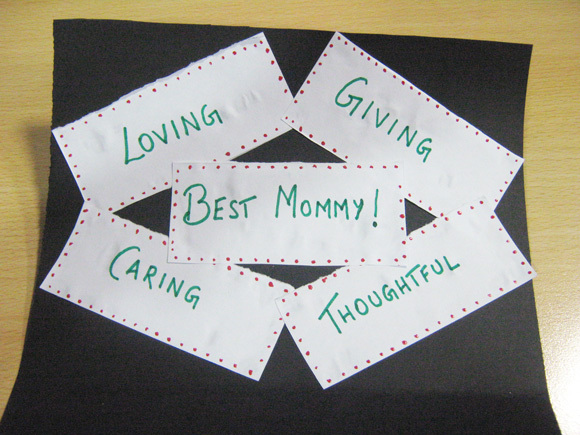 Mother’s Day crafts like these are a great way for kids to get creative and express their love! Cut and fold the construction paper to make a card of your desired size. 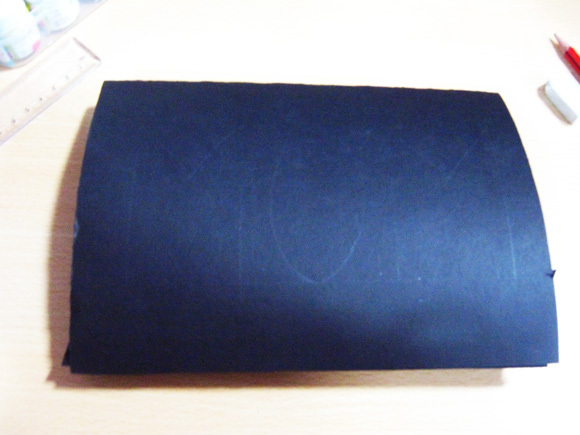 We worked on the inside of the card first. 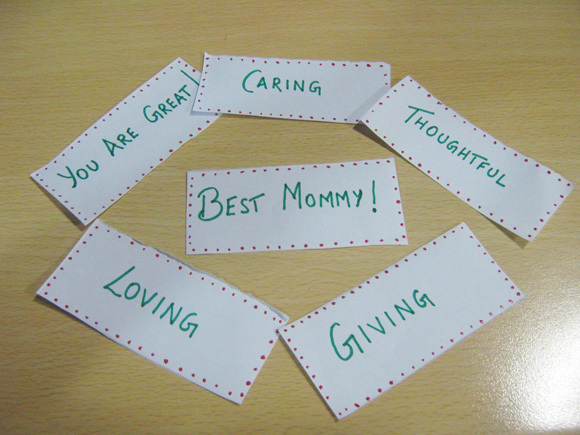 Cut small strip of paper as shown in the image below and write down qualities that make your Mom the best! Stick them on the left on the inside of the card. Wish Mom with a simple ‘Happy Mother’s Day’ message. You can write any small note or poem if you’d like! Decorate it with glitter glue, or even stick colored stones or beads if you like! It’s time to get creative and make the front of the card attractive. The process is really simple! First, trace out the letters ‘M’, ‘O’, ‘M’. Use glue and stick the buttons following the lines you’ve drawn. Decorate as you like. Looks fancy, doesn’t it? Your Mother’s Day card is ready!